So when we started the detox my first concern [obviously] was how I could make cake that we are ‘allowed’ to eat. This was followed very soon after by how I could make pizza happen but that we’ll get to later. I have determined that I love the thought of cake as much as cake itself. It’s in part due to the texture – the dense, rich, comforting wonderfulness that you just can’t get from anything else. No it’s not a carb craving [toast with almond spread solves that], or a sweet craving [piece of fruit and that’s sorted] or anything else identifiable by my naturopath to justify another herbal supplement, I just want cake dammit. 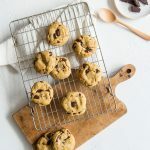 So my ‘rules’ for recipes in general are this – no white flour, no cows milk [except yogurt] or saturated fat [ie butter], no sugar, as organic as possible…and that is the starting point. Could you substitute any of the above for the ingredients below, yep, have I tested it that way, nope. It took a few goes and alot of experimentation but I’ve finally got it to the point that I am happy to share the love [and the goodness]. Be warned, this is not an overly sweet cake though! 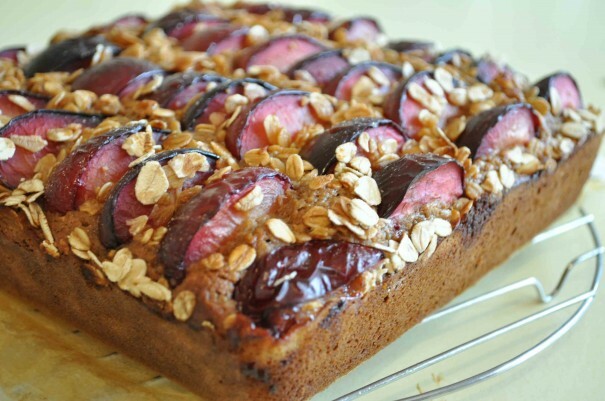 This started out with apples, had an incarnation as muffins with blueberries and saw a go with pears, but the plums are just so pretty – and this time of year I can get a bucket of them for about $3. There are a fair few ingredients in this, and a couple of bowls will get dirty but the result is worth it. Preheat oven to 180 (350) degrees. Lightly coat a square cake pan with cooking spray and line with a long strip of baking paper across the base and up two sides. 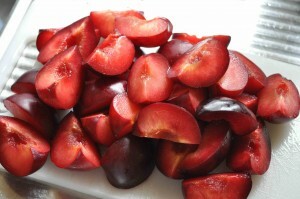 Cut plums into quarters through the stem and discard the stones. 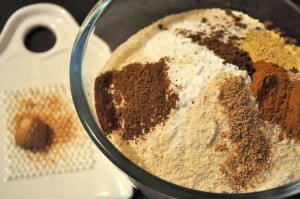 Wisk or sift together dry ingredients [flour through cinnamon] in a large bowl and make a well in the centre. Combine wet ingredients, except egg and apple concentrate, [yogurt through oil] in a jug and stir well to blend. Beat eggs for a couple minutes till frothy and beginning to thicken [I use a wisk for this but you can use an electric hand mixer]. 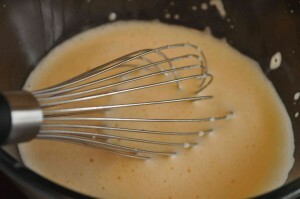 Continue to wisk while drizzling the 1/3 cup apple concentrate slowly into the eggs – it will get thick quite quickly. This is an important step to give the cake some lightness. Gently fold the combined wet ingredients into the egg mixture. Pour into the dry ingredients and stir quickly – and as little as possible – to incorporate. This usually takes me about 15 strokes with a flat scraper or large spoon cutting through the side to the middle. The batter will be a bit lumpy. Tip into prepared pan and smooth top. 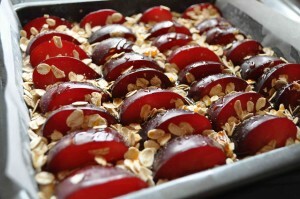 Lightly push plum quarters into the batter setting out 4 wide and 8 high. Sprinkle over the rolled oats and drizzle with the extra 2 Tbsp apple concentrate. Bake 35-40 minutes in pre-heated oven until the cake is firm and a toothpick inserted into the centre [between fruit pieces] comes out clean. 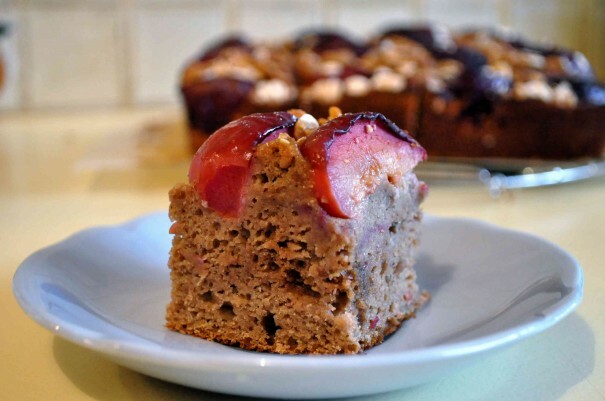 This is quite a dense cake and you want it to still be moist but not un-cooked! The fruit will create moisture along the top layer. Cool in pan for 5 minutes, run a knife around the 2 unlined edges and lift out onto a rack to cool completely. I cut this into 16 squares [4×4], which gives you 2 plum quarters on each piece. 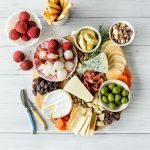 It is really nice served with plain greek yogurt or even ice cream but we tend to just have it plain for morning or afternoon tea. It toasts nicely after a few days in the fridge as well. ‘Liquid’ can be anything you have on hand. It’s usually tea left over from my afternoon cuppa. Last time I used oat milk and I have definitely used both water and orange juice too. Apple Concentrate is a great product that I found at the health store. It comes in a jar and looks like dark honey but is simply concentrated apple juice. 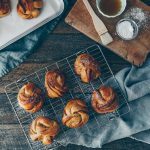 You could use honey or golden syrup or even some brown sugar [horrors] dissolved in a small amount of water to total 1/3 cup. No wheat germ? 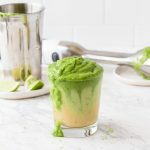 Get some – it is really good for you. But you could use an extra 2 Tbsp flour instead.